Our 3-week journey in Peru was our very first experience in South-America. We loved everything about it! “But at what cost?” many of you wonder. 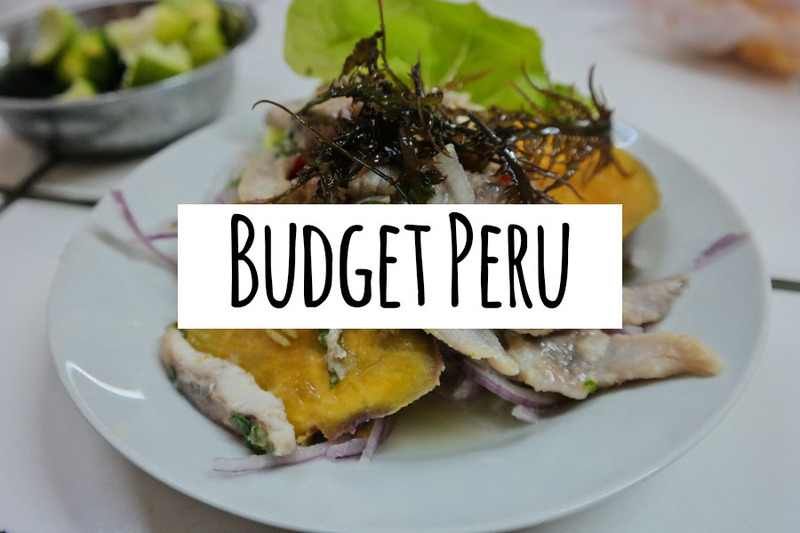 We knew traveling in South-America would be more expensive than Asia, but weren’t sure what to expect from Peru. The Gringo Trail is touristy, and touristy often means higher prices. In general though, it seems you can make it as cheap or as expensive as you want and feel comfortable with. Our flight from Brussels (Belgium) to Lima (Peru) was € 520 per person, which is a very reasonable price. Seen the distance, we also flew from Cusco to Lima for € 75 per person. To travel from one city to another, we mostly took night buses. We booked via Cruz del Sur; a company that is more expensive than others, but also known for its safety and comfort. We would highly recommend it! Total price: € 135 per person. For shorter distances, we took taxis and local minibuses (which are awesome! ): € 75 per person. Total price for 3 weeks of transport: € 805 per person. To be honest, you can do a better job than us concerning accommodation. The price is skewed due to an expensive hotel in Arequipa (€ 56 per person for 2 nights: not worth it!) 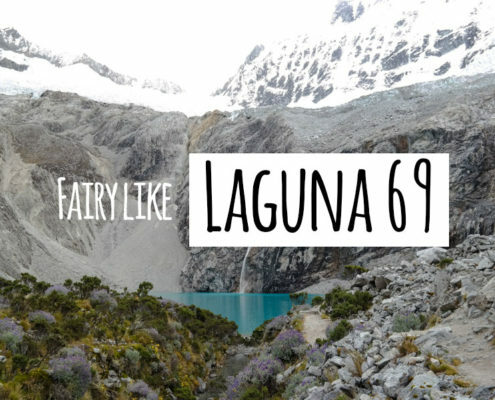 and a luxurious mountain lodge in Huaraz (€ 276 per person for 3 nights: still not sure if it was worth it… Nope!). 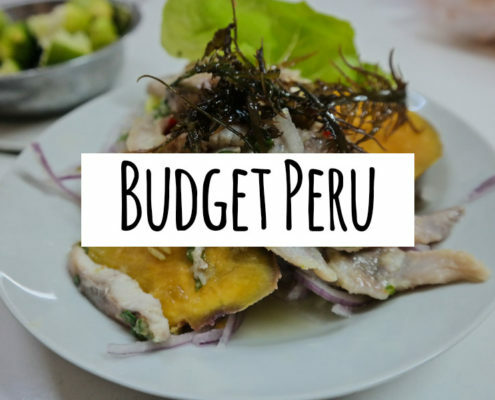 Peru is foodie heaven. The food is SO tasty, from cheap menus in mercados to delicate dishes in restaurants. 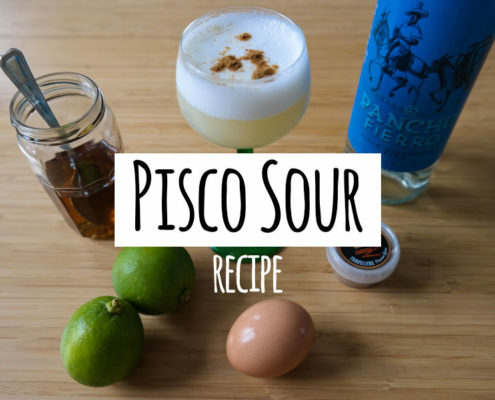 And then the pisco sours… Njum! No wonder we didn’t save any money concerning food & drinks. Our last evening we had a 14-course dinner in Astrid y Gastón in Lima, an upscale restaurant known for its chef Gastón who lead the Peruvian culinary movement: € 94 per person. Total price for 3 weeks of tasty food & drinks: € 295 per person. You don’t travel to stay inside, so this is the segment I wouldn’t suggest to save money on. Anticipate the expenses and explore, experience the mind-blowing beautiful sights in Peru. The most expensive activity was trekking the 5-day Salkantay Trail to Machu Picchu. The price includes accommodation, food & drinks and entrance of MP and Wayna Picchu Mountain: € 392 per person (for more information on price and other practical information of the Salkantay Trail, have a look at the blogpost I wrote about it). We didn’t save money in Nazca either and booked a flight over the Nazca Lines for € 100 per person. In Arequipa we insisted on going to the Salinas and arranged an expensive private tour: € 54 per person. Total price for 3 weeks of incredible sights & activities: € 616 per person. If we would do it again, we would probably save some money on accommodation – but we don’t regret a thing!